In September, President Donald Trump announced his decision to effectively end the Deferred Action for Childhood Arrivals (DACA) program, which will deny an estimated 800,000 young people – including students across all four professional schools and the Graduate Division at UCSF – temporary reprieve to work and study legally in the United States. Congress must act to find a legislative solution for DACA recipients before March 5, 2018, when residency and work permits begin expiring permanently. 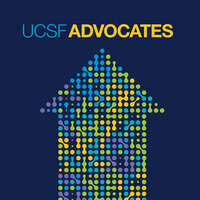 Join UCSF students, faculty and staff as we call on Congress to pass bipartisan legislation that protects the DACA program. Drop by for 5 minutes to lend your voice via phone calls and social media.